Xiaomi Mi 5 to be priced at 2499 Yuan ($385 USD)? As many of you already know, the long-awaited Xiaomi Mi 5 is Xiaomi's upcoming flagship phone. The company is known for providing consumers with good value, and the Mi 5 will apparently be no exception. Based on a comment made by Cheng Guifeng, the Chief Engineer of the China Telecom Guangzhou Research Institute, the Mi 5 should be priced between 2000-3000 Yuan ($309 USD-$463 USD) with a base price of 2499 Yuan ($385 USD). While sales have slowed down dramatically after a hot start to the year, it seems that Xiaomi's fans have been sitting on their hands, waiting for the release of the Mi 5. We should finally see the phone available no later than the second quarter of the new year. With the cult like following that Xiaomi has in its home country, we wouldn't expect that too many consumers have given up on waiting for the Mi 5. 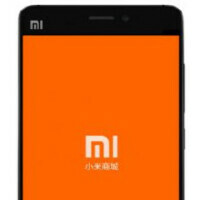 Powered by the Snapdragon 820 SoC, equipped with 4GB of RAM and a fingerprint scanner, the Mi 5 would still be considered a value priced handset at $385. If Xiaomi wants to become known as a premium manufacturer, and we're not sure that this is the case entirely, changes will have to be made starting with the lower end models, working up toward the flagship. All of this talk of change could just be a knee-jerk reaction to slowing sales in the second half of 2015, which can be blamed in part on the Mi 5 delay. We will revisit this subject a few months after the the new flagship model is launched. If the Mi 5 is selling like hotcakes by the summer, Xiaomi might just decide to leave well enough alone. Strong point of Xiaomi is great prices. That's made Xiaomi one of the most successful Chinese brand. When or if they stop making phones at great prices, Xiaomi *fans* will dump them for sure. At the beginning of the year 100M sales target wasn't look over ambitious considering their past year. Then they thought it's a good time to raising their prices. They priced Mi Note, Mi Note Pro, Redmi 2 and Mi 4i poorly at H1. Immediate result was 34.7M units of sale at H1 which was clear indication that they are gonna fall short of 100M units of sale target. Good thing is they responded that wake up call at H2 with releasing of Mi 4c, Redmi Note 2 and Redmi Note 3 at great prices. We are gonna see that their sales has been beefed up at H2 for sure. If they wanna sell it in large volumes like previous iterations, they have to stick with the old pricing scheme which is 1999 yuan for the base model and 2499 yuan for the other model with larger memory.